Life has been hectic, way more hectic than usual and we’ve been relying on foods and snacks that we can easily eat even when we are on the run or in the car. Put your hand up in the air if you like super easy snacks where you know exactly what you are eating rather than relying on prepackaged foods! 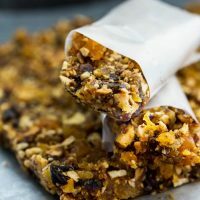 If your hand is waving around in the air wildly then these Paleo Apricot Cashew Almond Bars are made for you…unless of course you have a tree nut allergy and in that case, please back away slowly. You can easily mix these up in your blender or food processor. I’ve made them with both and while the food processor is just a tiny bit better the blender is a great alternative if it is all you have. 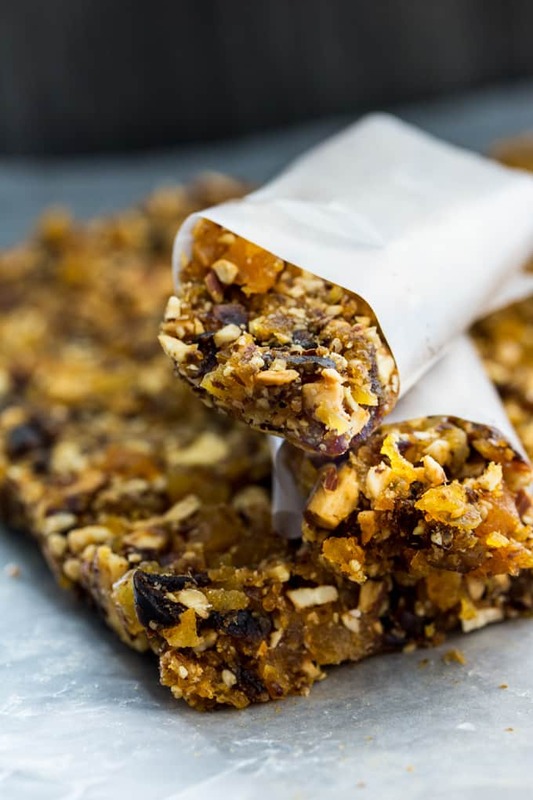 So what is so great about these Paleo Apricot Cashew Almond Bars? And the absolute best part is that they are made with only 5 ingredients. AND they only take a couple of minutes of active prep. I’m nothing if not lazy. If you are looking for more snack bars + you love chocolate, give these Chocolate Cashew Caramel Protein Bars a try. They are quickly becoming an all time favourite. 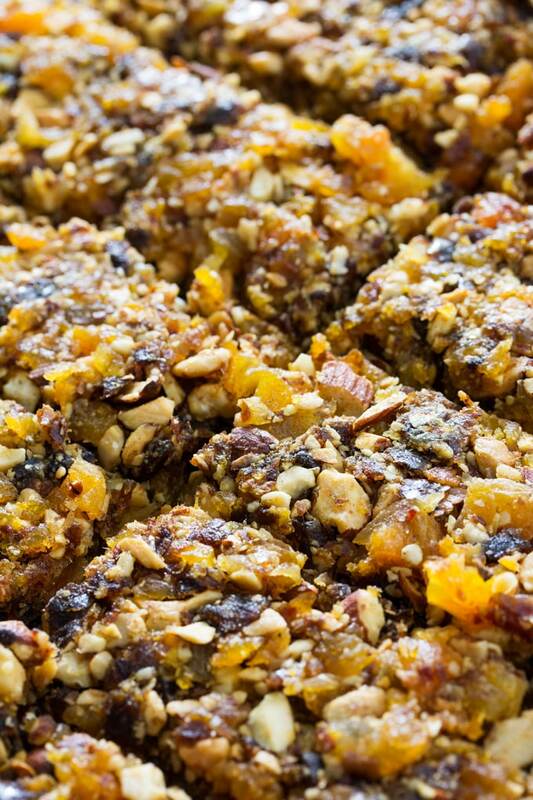 Paleo Apricot Cashew Almond Bars are gluten-free, vegan and the perfect mix of salty and sweet. Add all ingredients to food processor. Pulse for 30 seconds and assess. You may need to scrape down the sides. Pulse until you have the desired consistency. I left my mixture in a roughly chopped state but you can pulse for additional time to get a smoother mix. Line a square pan with parchment or wax paper. Pour mixture in pan and tightly pack it. Use your hands, the back of a spoon or any flat surface to pack it. Place pan in fridge for 30 mins. Cut and serve. If you prefer, you can also make these into bites rather than bars. Just take a tablespoon or two of mixture, roll in your hands. Try using fresh ginger in this recipe if readily available.